It does look like there is a slight bit of pyramiding but not bad. Watch the protein intake. If your using mazuri use less. i use mazuri but have seen it cause pyramiding when it is fed way to much. Keep a high fiber diet in mind when thinking sulcata. NO FRUITS! Fruits will cause a microbial breakout which can lead to various other problems once they have weekened the tort. and let bacteria set in someware. yes they love them some canalope but its in there best intrest to stay out of it. I feed mine lots of alphafa. I wet it in a container and put some yummies (romaine carrots ect..) on the bottom so they have to eat through the hay to get to it. some people use timmothy. Their burrows can get quite big pretty fast. I saw a burrow that was so big and deep by a male 14-15in sulcata named Rosco that there was no way you were going to get him out! I mean he even dug under a big palm tree around roots and all! It sounds harmless and all but in the winter i like to have them trained to go back into their heat houses @ night. If its going to get cold and rain i dont want to be stuck underneith a palm tree tring to get one out of a hole! Its harder than it sounds as their legs will cling to the sides of the hole and sulcatas are extreamly strong! 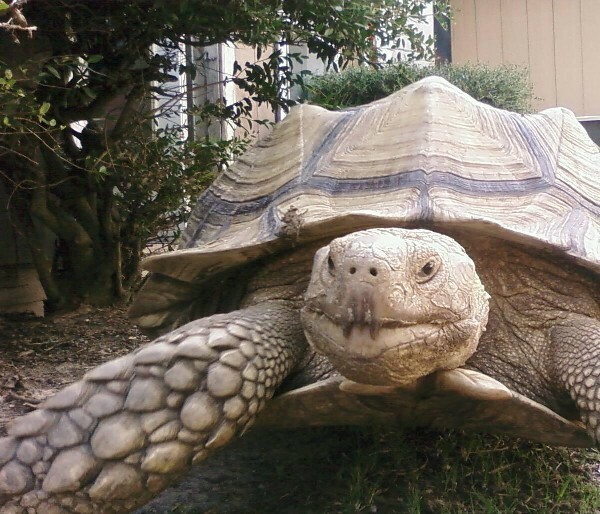 A few years ago my 95lb sulcata decided he wanted to dig a hole all of the sudden and before i knew it there was dirt flung everyware! So i would pull him out and fill it in and for 3 days we went round and round. to discourage digging i give them some sort of shelter where they feel closed in. simple as it sounds it for the most part seems to do the trick. some people use dog houses/camper tops whatever you decide that you like just keep in mind winter will be here soon enough. if you keep them inside start training them to use there heat house now. its in there instinct to use a burrow so they will take to it fairly quick. i hope i answered your question!